With the weather we’ve had this June, there has been no need to worry about sunstroke. This is not the case everywhere. For example, in Darjeeling this season, when the pluckers have brought out their umbrellas it has been to protect themselves from the sun, not the rain. 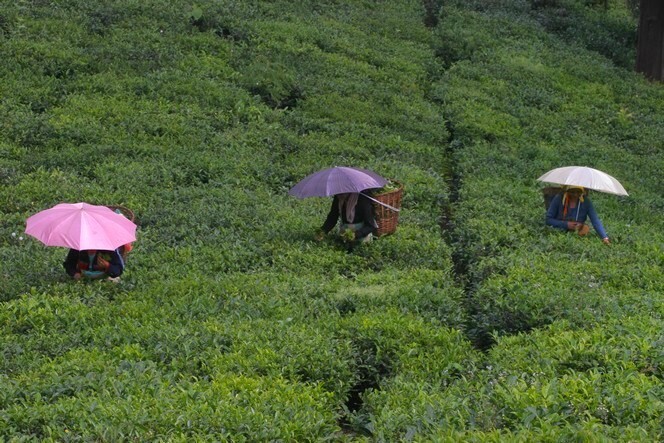 The women have good taste in their choice of bright, varied colours, making this landscape very similar to a cup of Darjeeling itself. Its floral, flowery, vegetal notes are a real treat for the palate.